I love chocolate treats, but its not on my diet plan . That’s why when Yoplait came out with Yoplait Whips, chocolate was the first flavor I tried. Sometimes I would even drop pecans in it, yum. I have remained a fan of the whips every since, but I had no idea they could double as a frozen treat. 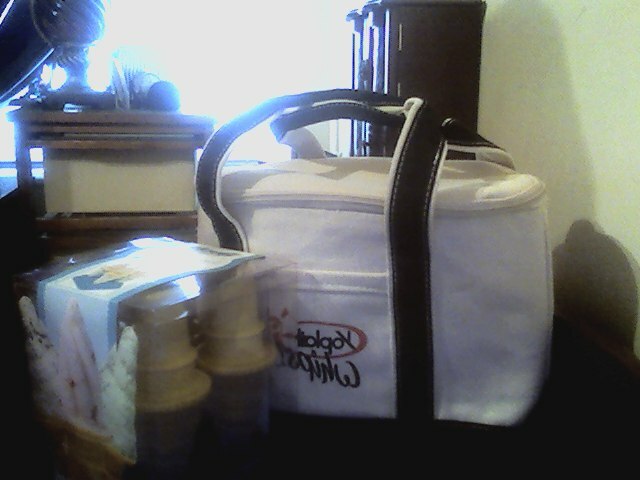 As a member of My Blog Spark, I received a coupon to try Yoplait Whips, along with a popsicle mold set and a insulated tote. Courtesy of Yoplait and My Blog Spark one lucky reader will win their own Yoplait Whips gift set. 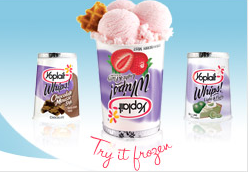 What Yoplait Whips flavor you would most enjoy frozen? Visit http://www.myblogspark.com/uc/main/332b/ to download a printable coupon for $0.55 towards the purchase of any (2) cups of Yoplait Whips! yogurt today!